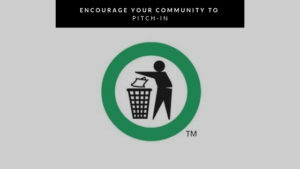 Celebrating PITCH-IN Week is not only about participating in upcoming clean ups, but it can also be a way to encourage your community to take long-term action! Through our Resource tab, you can easily find campaign support materials, tips for starting municipal movements, educational worksheets, and colouring pages for the youngest of participants. One of the best ways to promote action in your community is by submitting a press release to local papers! From here, it’s easy for political leaders, community voices and local neighborhoods to learn about your scheduled clean up and for the reasons behind it. Do you want to see your event in your local paper? Head over to our Media link to find a press release ready for distribution, and then check out FitSmallBusiness.com for tips on How to Send a Press Release in 5 Steps [+Distribution Tips] to learn more on how to submit the release to local media sources. As always, we thank you for PITCHING-IN!